Posted on Mar 22, 2011 by Gugel. 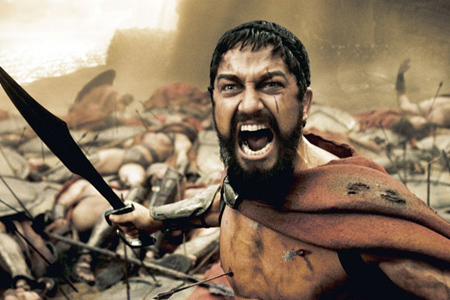 Leonidas had that warrior spirit. Thats also the difference between a winning online poker player and a loser. The winners see every setback as a challenge that they need to overcome. If they lost a couple of buy-ins against an opponent, theyll go back and analyze their hands. Theyll figure out where they went wrong and make sure it doesnt happen again. The losers think they lose because they got unlucky. If they have a brutal session, they just say to themselves the jerk got lucky. Now, sometimes theyre right. Sometimes their opponent DOES get lucky. But even if they did, they should still review their hands after a losing session. You learn more from your mistakes than from your successes. Do you have the warrior spirit or are you an ordinary man? According to Poker Rockets, one of the main reasons why so many players today choose to play poker online is because of the various bonuses that are offered by different websites. Online poker bonuses offered at sites such as PokerStars can be very attractive and they are easily available on the internet today. However, PKR players will also have to know about clearing the bonus. In order to optimize and get the extra money you will have to know how to get the money out of your PokerStar.it account so that you can use it. My 2006 UIGEA Conspiracy Theory Confirmed? Posted on Dec 06, 2010 by Gugel. The UIGEA passed the House and Senate on September 30, 2006. It served to restrict gambling transactions for financial institutions. For players, that meant it became harder to deposit and withdraw money. Harrahs Entertainment was the 13th largest contributer to Frists 2000 Senate campaign. (Bill Frist was the senator that pushed through the UIGEA). It approaches the senator with a deal that seems to be a win-win-win situation. Frist wins, the casinos win, and the U.S. wins. Frist wins by displaying his morality for future presidential campaigns to the U.S. public by banning online gambling. After a period of consideration another senator that in cahoots with the casino decides to try to legalize. Casinos start up their own versions of online poker. American casinos quickly gobble up the U.S. market. The U.S. government gets hundreds of millions of dollars in tax revenue. Itd be a win-win situation. Now, it looks like my prediction is coming to pass. Harry Reid recently put a bill to license, regulate and tax the online poker industry (though I admit hes probably not in cahoots with Bill Frist). The proposed measures would absolutely destroy foreign rogue operators like Full Tilt and PokerStars. F-Train does an excellent job summarizing the 75-page bill, but heres a a quick rundown. All current poker rooms have to exit the U.S. market and return customer deposits. No licenses will be given out for the first 15 months. To be clear, that means that there will be no legal online poker in the U.S. for 15 months. Only companies that have owned or operated a casino for 5 years prior to the passage of the bill will be eligible to receive a license after the initial 15-month waiting period. That means foreign poker operators have to wait 15 + 24 months (3 years and 3 months) before they can come back to the U.S. market. 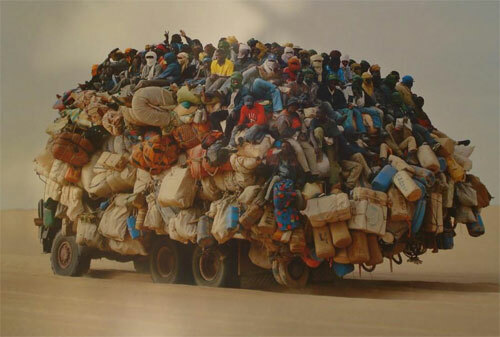 And when they do try to return to the U.S., theyll be faced with entrenched domestic competition. It looks like I was pretty spot on with my 2006 prediction. The only question is whether the bill will pass (it looks somewhat unlikely), and if it does, how it will be modified. 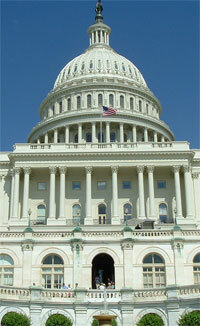 Post a comment on what you think this bill means for the poker industry. UPDATE: It looks like the language of the bill changed to allow all foreign poker rooms to get their license within 15 months (though this is still subject to change). Posted on Nov 14, 2010 by Gugel. 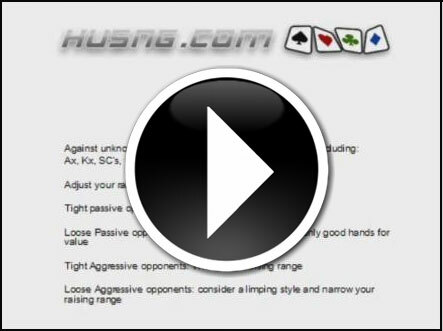 Cog Dissonance sent me an exclusive sample strategy video just for AnskyPoker.com readers. In the video, he gives a brief overview about the general strategy for HU SNG SuperTurbos and then gets into some actual gameplay. Adjust your raising range according to opponent type. Tight passive opponents: widen your raising range. Loose passive opponents: Limp average hands, raise only good hands for value. Tight aggressive opponents: widen your raising range. 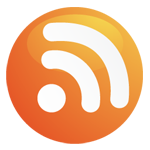 So heres my recommendation: Check out the free video and if you learn a thing or two, subscribe to HUSNG.com. Its only $25/month, but it can definitely help you skyrocket your ROI no other training site comes close to having such awesome HU SNG content. Posted on Oct 09, 2010 by Gugel. The bucket represents the poker room. There are two holes on the bottom. One hole is the rake and the other hole is withdrawals. Theres also a faucet that brings new water into the bucket. That water represents new deposits. The poker room needs to keep the water level in the bucket stable or rising. A decreasing water level will eventually spell disaster. Before we proceed, I want to point a few weaknesses of this model. The poker economy is actually LOCALIZED. That means that $100NL could be a very healthy game, but $200NL could be on the verge of collapsing. 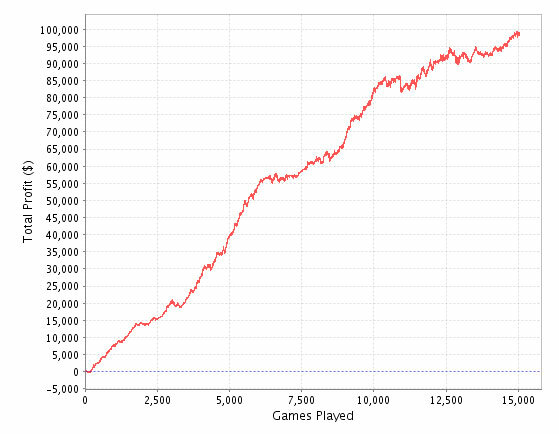 This model doesnt really factor in bankroll management. A fish that deposits $10,000 and plays $5/$10 NL is one thing. A fish that deposits $10,000 and plays $0.01/$0.02 is another. Same kind of thing for withdrawals. Its one thing to withdraw your entire roll and stop playing poker, its another to be playing $50NL with a $10,000 roll and withdraw $1k. The poker economy is booming. The water is flowing into the bucket faster than its leaking out of the holes. The right step for poker rooms is try to open up the rake hole. Theyre leaving money on the table if they dont. To open up the rake hole, they can increase the rake structure or they can try to attract players that play a TON of hands. Back when poker was booming, the poker rooms did just that. They started to let players play 16 tables at once, gave VIP rewards based on the number of hands played, etc. Many poker rooms probably understand were not in this phase anymore, but theyre not adjusting that well. The poker economy is declining. The water is flowing out of the bucket faster than its flowing out. The right step for poker rooms is to try to increase the flow of water OR decrease the flow of water out of the holes. You can increase the flow of water by marketing, deposit bonuses, etc. You can decrease the water flowing out of the withdrawal hole by VIP rewards and limiting withdrawals. Why are poker rooms not encouraging a guy playing $5/$10 with a $10k bankroll to keep his bankroll on the site? You can also plug up the rake hole. I know, raising or lowering prices is generally a crappy way to compete against other poker rooms. But thats NOT the point of lowering the rake. You lower the rake to maintain the health of YOUR poker room. Its similar to what the U.S. Federal Reserve System does when it lowers the interest rate during a recession. The poker economy is stable. The water is flowing into the bucket as fast as its flowing out. Poker rooms can try to grow the economy the same way described in Scenario 2. Posted on Aug 22, 2010 by Gugel. To have the best possible hand. There are two possibilities about how this term originated. Back in Old West, players could wager almost anything they had at a poker game. That included the nuts that held their wagon wheels in place. 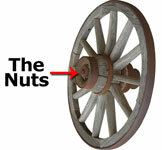 Without the wagon wheel nuts, the player would be stranded and might die. To the others at the table, it would seem that a player would only make such a bet with an unbeatable hand. Since many games were played indoors in the winter time, the wagon wheel nuts were often very cold and were sometimes referred to as the stone cold nuts. Nuts in Old English means a source of pleasure. To play a ton of poker. Usually this involves mass-multitabling in games that are typically below your skill level. 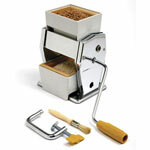 Originally, grinding referred to using a hand mill to grind grain. You would basically be spinning a wheel and make a couple of bags of flour by the end of the day. It was an extremely boring and tedious job. Fast forward to the 20th century and the definition of grinding began to take on a much broader meaning. People started to call almost any job the daily grind. In the 21st century, grinding started to be used in videogames. In World of Warcraft, people would spend countless mind-numbing hours to kill weak enemies and level up. To lose your entire bankroll. In blackjack, the goal is get as close to 21 as possible. If you go over, you “bust” and automatically lose the hand. To win lots of money in a short period of time. Cuban Robusto cigars are around $250 each. If you go on a good run, you might open a bottle of Dom Perignon champagne and whip out a Cuban Robusto. Robust is defined as “exhibiting vigor, strength or firmness”. Robusto works as a funny-sounding antonym of busto and the definition fits. A successful high-stakes poker player that is flashy with his money and makes insane prop bets. Originally, a baller referred to someone that’s very successful in basketball. Now, it can refer to almost anyone that’s rich and flaunts their wealth. Playing sub-optimally due to emotional distress. Pinball started to become popular in the 1930’s. Early machines had a serious flaw – players could lift up a corner of the machine and be guaranteed not to lose. By the 1950’s pinball machines started to penalize players that tilted the machines by making them lose a turn. Some players continued to tilt, kick and punch the machine out of frustration even though it lowered their score. A game that started in the South or Southwest United States in the early 1960s. It was originally called “Hold Me Darling”, “Tennessee Hold Me” and “Texas Hold’Em”. Predictably, “Texas Hold’Em” is the name that stuck. Originally from the German word “pochen” which means to “to brag as a bluff”. The literal translation is “to knock” (that’s why you knock on the table to check). The earliest version of poker in English was called “brag”. Posted on Jul 05, 2010 by Gugel. Is your brain being overloaded? I have an assignment for you. I want you to run a mile, juggle 3 balls for 15 minutes and spin a hula hip around your waist 100 times. Unless youre a well trained circus performer, you instinctively know that you wont get ANYTHING done if you do everything at once. You have to split it up and concentrate on ONE THING AT A TIME. So why do you think its different when youre playing poker? Why do you play poker and watch TV? Why do you play poker and browse TwoPlusTwo? Why do you play poker and talk to your friends on the phone? When you multi-task, your energy is being spent on just paying attention to everything thats happening. Instead, you SHOULD be concentrating on adjusting to your opponents and improving your game. You might feel like your accomplishing more when you multi-task, but thats an ILLUSION. Multi-tasking isnt always a bad idea. Its fine if its a simple task and the stakes arent high. You can obviously drive your car and listen to music (but I bet that a professional race car driver keeps the radio off). When youre playing poker, RESIST the temptation to multi-task. Shut off your browser and TV. Dont answer your cell phone. Remove all distractions. Respect the game and give it your full attention. Posted on Jun 08, 2010 by Gugel. I guarantee youre not gonna be a great poker player if money is the only thing that keeps you going. Ill prove it to you. A study by Ace Betting Sites. researchers had students try to beat a series of challenges. They did stuff like memorize strings of numbers, solve word problems and shoot basketballs into a hoop. If the students had average performance, theyd get a small reward. If they were significantly above average, they got a medium reward. And if they were way above average, they got a big cash prize. Youd expect that the bigger the reward, the better the students would perform, right? In other words, if the big cash prize was $5,000, youd think the students would perform way better than if the prize was only $100. The study had a surprising result. If the students were required to do even a little bit of thinking, the large cash prize led to WORSE performance. Now thats a really surprising result. So they replicated the study across the world. They tried it in India were the huge cash prize was 2 months salary. Again, the higher cash rewards led to WORSE performance. The only time cash incentives actually work is for purely physical labor. There is a catch though. You do need SOME money to be motivated. You need just enough so you dont worry about paying your rent and you can just concentrate about thinking about poker. So if money doesnt motivate people, what does? There are 3 main factors that are important to motivation. Autonomy do what you want to do, when you want to do. Challenge & Mastery humans just like to get better at stuff. Purpose whats the big picture, what do you want to accomplish in life? To be a motivated professional poker player, you need to be self-directed, have a unyielding desire to master the game, and have a clear sense of purpose (not just I want to make a lot of money). Posted on May 05, 2010 by Gugel. The UIGEA was passed in 2006 and made it harder for U.S. players to deposit money on poker sites. But how and why was it pushed through Congress so quickly (and sneakily)? Put on your tin foil hats here are 3 crazy conspiracy theories. Conspiracy Theory #1: U.S. based casinos pushed through the UIGEA legislation. In 2000, Harrahs Entertainment was the 37th largest contributor to Bill Frists re-election campaign. In 2002, Harrahs Entertainment was the 18th largest contributor. In 2006, Frist pushes through the UIGEA legislation. Harrahs wanted to push out international competitors. It would be too hard dislodging PartyPoker, PokerStars and FullTilt from their dominant positions. Harrahs figured the UIGEA would be repealed in a year and two and that would give them enough time to develop their software. Unfortunately, they miscalculated and the legislation is lasting far longer than they anticipated. Conspiracy Theory #2: Credit card companies pushed through UIGEA. Back in the day, you could send money via FTP or Stars to buy PokerTracker. Transferring money via poker rooms provided a way for consumers to bypass credit card fees. The credit card companies were worried that peer-to-peer transfers would catch on for regular consumers. Anyone could pay for anything without any fees (and kill their profits)! Even if the chances are small that P2P money transfers would take off, the potential consequences for credit cards are enormous. Therefore, pushing through UIGEA might have been a +EV move. The credit card industry is worth hundreds of billions of dollars. They definitely have the resources and connections to get it done. Conspiracy Theory #3: The UIGEA was pushed through to stop money laundering. Lets say you want to transfer your friend $10,000. If you give him a check, that automatically triggers your bank to send an alert to the U.S. government. But now, lets say you transfer $10,000 to your friend on Full Tilt. The U.S. government has no idea that happened. The only way it would know is if you reported it on your tax returns. Guess what? Criminal enterprises arent gonna be honest on their tax returns. Theres only a tiny, tiny percentage of people that are using poker rooms for money laundering or other illegal purposes, but unfortunately, that tiny percentage is enough to ruin it for everyone else. The U.S. government doesnt wanna give criminal enterprises free reign. The UIGEA was passed to stop money laundering. Posted on Apr 26, 2010 by Gugel. We're taking a look at one of the best online nektan casinos, SlotSino Casino is a pretty new development which currently stocks a whole host of games for you to play on. What bonuses can I get on this Nektan Slot Site? The first bonus that you can claim is a no deposit offer. Theres no need to put in any of your own money to claim this, just register your account and enter promo code FREE5 when you're signing up to trigger your welcome offer. This is only usable on a few select slots so make sure you check out which ones its available on. The second bonus that you'll be able to claim as a SlotSino casino is a £500 deposit bonus, however this isn't just a deposit bonus, you'll also get 50 free spins that are added to your account after you've placed a £10 deposit. These spins however can only be used on Starburst, so dont try using it on any old Nektan Slot. What types of games do Nektan casinos have? Nektan casinos have a variety of different software providers stocked and ready for you to play. You'll be able to play games by the likes of Industry giants IGT, Microgaming, NetEnt and Nektan. Shamrock N Roll, Mayan Marvels, ChinaShores, Gypsy Fire, China Mystery, Jumping Jalapeños, Lotus Land. Big 5 Safari, Cave Raiders, Plucky Pirates, Best of British, Heroic, Magic Touch, Meow Money, Trolls Tale, Dragon Dynasty, Carnival Cup, Candy Swap, Mummy Cold, Fiesta, Get Fruity, Pearls Fortune, Cave Raiders, Loaded P.I and gunslingers gold. The final reason we'd advise you should sign up to a Nektan Casino is due to the great mobile optimised platform that they've got running. You can access a great selection of video slots from both your mobile phone and your tablet device. The casino is perfectly scaled so you can play all your favourite games. © 2010 AnskyPoker.com. All Rights Reserved.